Facebook and Twitter aren’t the only social media platforms you can advertise. Smaller, more niche social networks like Reddit, Pinterest, Snapchat, and Tumblr have all gotten in on social advertising with innovative ad formats and placements. Now, two of those sites have both announced new ads on their networks that directly give back to their users. 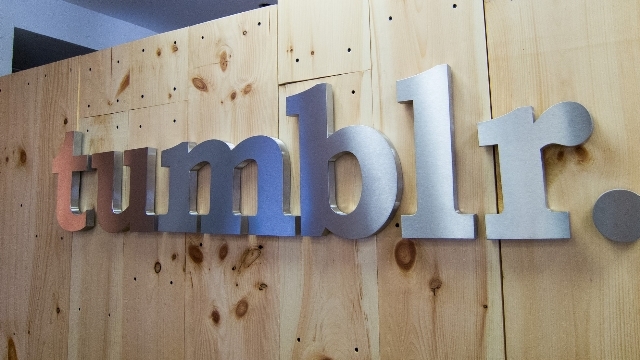 Tumblr and Reddit have announced two separate plans for ads that will run on their networks and compensate users for allowing their blogs or content to be included. In the case of Tumblr, the service is rolling out ads that will be shown across their blog network. Users can opt out of having the ads shown on their specific pages, but those who decide to be included can receive compensation just for allowing the ads. While Tumblr says they will be outright paying users for participating, Reddit’s new ad service isn’t quite so direct. With the launch of Promoted User Posts, brands can now take advantage of content being posted on the site by promoting it for more to see. This means you can spot a post organically shared on Reddit by a user and boost it to the front page or user feeds with the original poster’s permission. However, instead of paying users for allowing their content to be used by brands for promotion, Reddit is opting to reward them with a lifetime of “Reddit Gold.” Reddit Gold is the site’s premium membership program which costs $29.99 a year and can be gifted to users by others. These innovative ads are a smart way to involve the communities that already exist on the social networks and make them feel invested in the ads they are seeing. It also presents an opportunity for brands to take advantage of things already being shared to better promote their brand and products. Twitter’s ad revenue and engagement may be going up, but Twitter’s advertising platform is struggling to maintain growth as they see fewer advertisers using their service to promote their content. According to Twitter’s latest shareholder letter, ad revenue grew 18 percent year-over-year, reaching $535 million in Q2. Similarly, ad engagement shot up 226 percent and the cost per engagement dropped by 64 percent. That’s the good news. The bad news is Twitter is “seeing a continuation of the trends discussed last quarter with less overall advertiser demand than expected. This is reflected in both our Q2 performance and Q3 outlook. First, there is increased competition for social marketing budgets, which requires us to continuously raise the quality bar on the advertising solutions we bring to market. Second, while we have worked to drive higher ROI for advertisers (by leveraging our current user base, ad formats and innovations in targeting, creative and measurement), we’re still priced at a premium CPE relative to others. This has proven to be a headwind in growing Twitter’s share of overall social budgets and in our ability to grow faster in both video and performance advertising. Ultimately, Twitter is going through growing pains and it is reflected by the loss of advertisers. While Twitter is charging more than most social platforms, it is struggling to maintain its active user base who have been largely unimpressed by newer features and changes to the interface on mobile and desktop. Instead, advertisers are following users who are turning to platforms like Snapchat, which already has more active daily users than Twitter. Twitter is also heavily investing into live sports streaming with agreements to stream games from all the biggest sports leagues in the U.S., including the NFL, MLB, and NBA. The only question is if these decisions will reignite the spark that originally made Twitter one of the most popular social networks in the world. 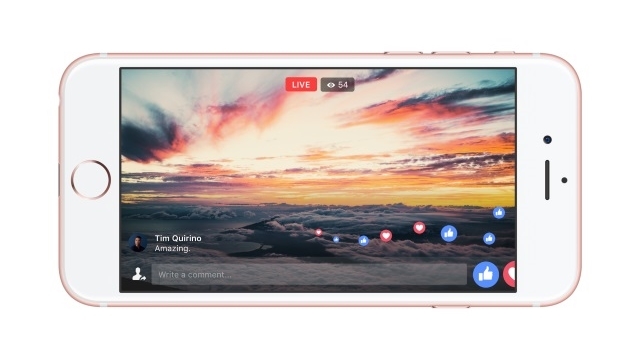 Facebook Live is going to become even bigger in the coming weeks. 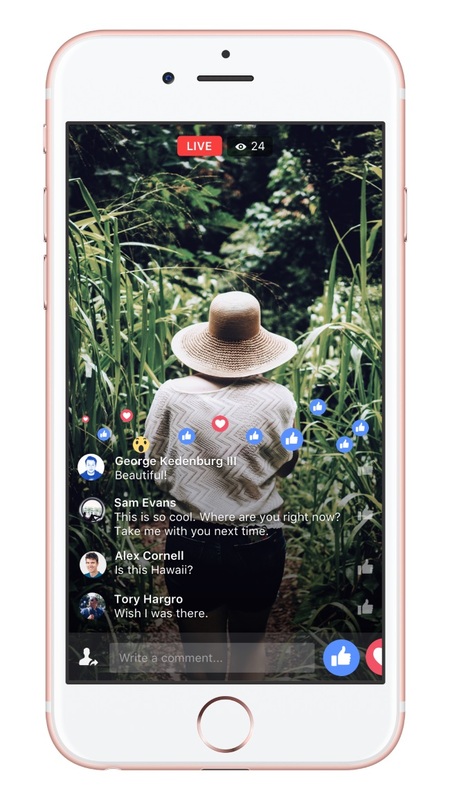 Facebook has been heavily pushing their live video streaming service and now they have announced several new features that will expand how users can livestream their lives. Facebook Live users have been limited to 90-minute streams in most circumstances since the launch of the service, but Facebook is extending that limit substantially. Now, broadcasters are able to stream continuously for up to four hours when using the Facebook app or the Live API. If you desire, you can also stream continuously indefinitely, but your followers won’t receive notifications and there is no archive of your stream. You can’t share it with followers later or rewind. Comments and live reactions can sometimes turn into a mess when you have a large enough audience. It can be hard to weed out spammers and trolls on the fly, but Facebook is making it easier to keep things under control by allowing you to hide reactions and comments by enabling a video-only mode. All broadcasters have to do is swipe right on their screen. You can always swipe left to re-enable them. Viewers don’t have to watch your streams from the small box in their feed anymore. Finally, you can watch live broadcasts full-screen from any iOS device. Unfortunately, Android users will have to wait until this summer to be able to view streams full-screen. Want to make your broadcast an exclusive for a specific demographic? Now, you can limit your audience to specific users based on criteria like location, age, and gender. Facebook calls the feature “geogating”, but it basically allows you to set limits on who can see your streams. Currently, the limits are fairly broad, but they may become more refined in the future. Online shopping isn’t always a static process. Shoppers often hop from device to device freely as they browse and ultimately purchase. In fact, Google says 61% of internet users and over 80% of online millennials begin shopping on one device but finish their transaction from another. To help you better keep track of these customers as they progress throughout your sales process, Google is making cross-device conversions more prominent in their online reports. Introduced three years ago, cross-device conversions is finally becoming a default feature included in the Conversions column. According to Google, this will help businesses get the most complete view of their conversions possible and improve your ability to measure the full value of mobile ads. Google also says that advertisers who have already gotten access to automatic cross-device conversion tracking have generated an average of 16% more conversions overall. Beginning on August 16th, Google will make cross-device conversion a default feature listed in conversion reports. As a business advertising on Google, this means you’ll gain easier access to information about how your ads are performing across all devices. That means you’ll be able to quickly see whether your mobile or desktop ads are failing to perform. You can also see what devices your customers are most likely to use throughout the sales process and better cater your ads and sales process to their needs. Does it seem like your ‘Contact Us’ page never actually leads to contact with customers or interested consumers? These days, every business with a website has a contact page, but few are putting the time and care into these pages that they invest in other areas of their site. I couldn’t count the number of stylish and modern websites I’ve found with contact pages that look weeks or even years old. Sometimes the web design looks distinctly dated, like a forgotten room in a house that has since undergone numerous renovations. Even more worrying, some businesses forget to update their contact information after address or phone number changes. Any of these issues can deter potential customers from contacting you or purchasing your products or services in the blink of an eye. The good news is, they are also easily fixable. Today, I wanted to offer you some quick ways to turn your ‘contact us’ page from one of the least effective pages on your site to a consistent source of leads and customer engagement. The most important factor when listing your contact information anywhere online is consistency. Your business name, address, phone number, and all other contact information should be exactly the same whether they are on your contact page, Facebook, or Yelp. Not only does it provide huge SEO benefits, but showing consistency and a clear identity for your business helps build trust with consumers. Just about every ‘contact us’ page lists a local address and phone number, but often there isn’t much else on the page. While these are both important, you are also missing out if these are the only ways you are encouraging consumers to contact you. 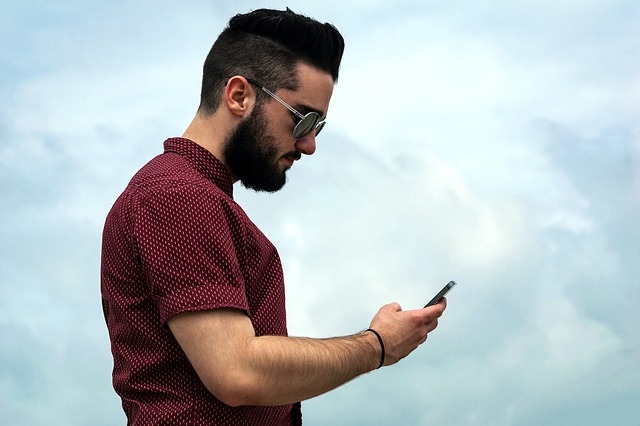 Potential customers aren’t always in a place where they can easily make a phone call and they are not always able to make it out to your physical location. Instead, they may want to drop a quick message to you over Facebook or Twitter. Providing many different ways for your customers to contact you will make you seem more available and allow more people to reach out when they need to. The biggest problem with the vast majority of contact pages I see are that they are just plain boring and tell nothing about who you really are. If someone comes to your ‘contact us’ page, they are looking to learn more about you. If your page is just a simple list of email addresses and phone numbers, you are missing a huge chance to build your brand identity and reinforce who you are. Some contact pages include forms which ask for small amounts of user information. These can be helpful for keeping messages organized, but being overzealous can drive people away. Your contact page isn’t necessarily the best place to build your email list or ask for detailed user information. Test out shorter forms that ask less of customers initially or make signing up for email subscriptions optional. Otherwise you may find your contact page is actually pushing interested people away. For far too many businesses, a contact page is treated as an afterthought when they should really be a priority. They are one of the most important pages on your site and act as a foundation for you to start building a relationship with consumers. If you want to really start hearing from consumers, invest time in your contact page to turn it into a page that is as welcoming and informative as the rest of your site. Google is rolling out a new update to its Local Inventory Ads that let allows searchers to browse in-stock products when they search for a business. That means if a users searchers for your business, they could browse your inventory straight from Google. 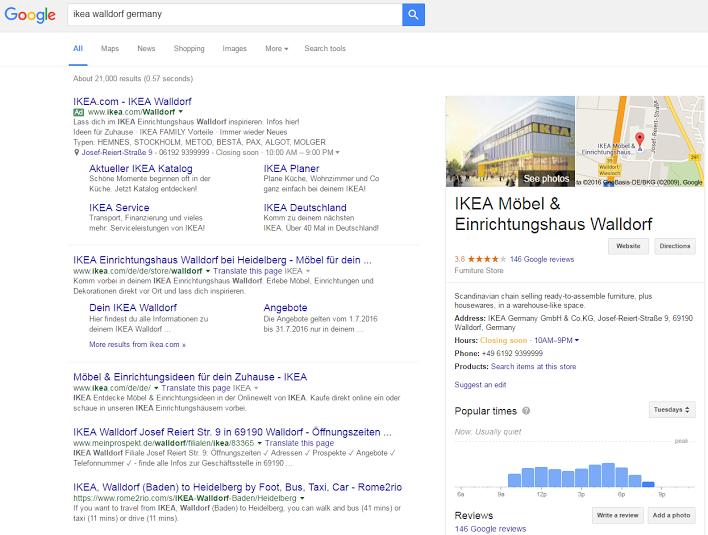 So far, the new features are limited to a small number of retailers, such as Macy’s and Ikea. However, it is expected to continue spreading to businesses of all sizes in the coming months. The update is not a surprise, as Google announced the expanded features utilizing their its Knowledge Graph and Google Maps back in May. However, it was first spotted this week by Nicolai Helling who captured a few screenshots of what it looks like out in the wild. With the new features, you’ll see a new line in the Knowledge Panel underneath your NAP (name, address, phone number) information which says: “Search items at this store”. You can also find this in Google Maps underneath the store’s hours. If a user clicks on this, they’ll be taken to a page hosted by Google where you can refine exactly what item you are looking for. If they select a specific product, they will then be directed to a dedicated page product information as well as information about where to purchase the product online or in store. To use the feature as it rolls out, you will need to be signed up for Google’s Local Inventory Ads program and be running ads with your products and inventory information. It may seem like everyone is online these days, but somehow some businesses still don’t have websites. Your business might even be one of them. If your business has gone this long without a website, you probably have your reasons. You may think you don’t have the money or you simply don’t need one. Neither of those is correct. A website is a fundamental part of running a business in 2016 and many consumers won’t consider purchasing from a business if they can’t find information about them online. That’s true even for brick and mortar stores. In this connected age,people will even Google stores from their parking lot to make sure the trip inside will be worth their time. Rapid Web Launch put together an infographic breaking down every reason you might have for not having a website and why it is wrong. I know you’ve gone this long without one and your business may be doing fine, but there’s nothing to lose and everything to gain by getting one set up today. Check out the infographic below or at Rapid Web Launch. Social media is one of the quickest and easiest ways for a customer to reach a business, which is why sites likes Twitter and Facebook are fast becoming de facto customer service platforms. Users expect to be able to reach a business and have their problems solved through social media and it is important for businesses to be available. Twitter has recognized its power as a customer service platform and has been testing features to help customer’s take advantage of this. One such feature was released this week which shows users when brands and businesses are most likely to respond on Twitter. The new “most responsive feature” is starting to pop up on profile pages for pages like Apple Support, but also on brand pages like Medium’s profile on both desktop and mobile. 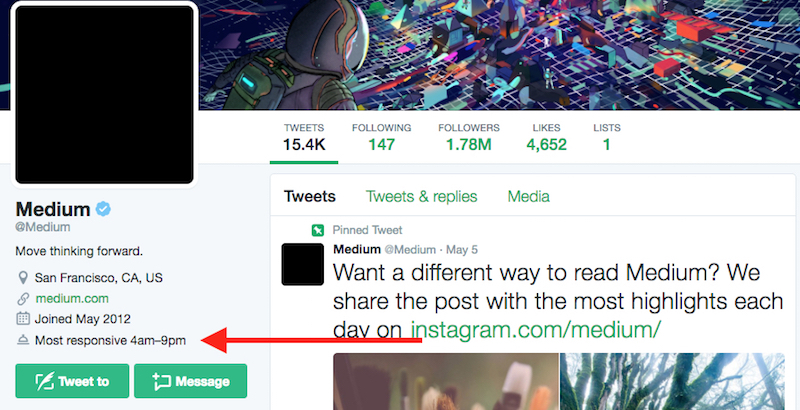 Little is known about the feature since it was first spotted this morning. Twitter hasn’t said whether the feature is just a small test or if you can expect to see it spread in the coming weeks and there is no indication of whether businesses have any control over the listing. Ultimately, the new feature is just a test to keep an eye on. Not only does it provide a potential way to improve customer interactions with brands, but it signals Twitter’s intentions to highlight the customer service potential of their platform. 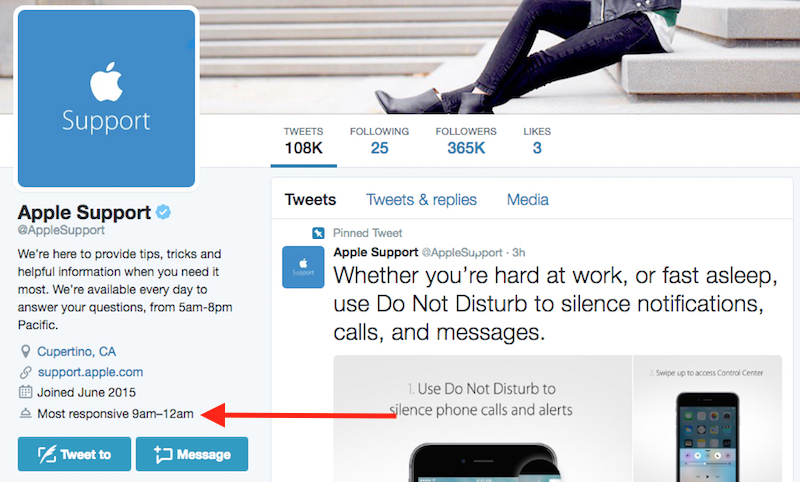 You can likely expect to see similar features and information for brands that offer customer service through Twitter in the future. It has now been two years since Google announced it would be making HTTPS a minor ranking signal, and a recent study from Moz shows just how many sites have made the switch since then. After Google’s announcement, there was an initial surge in sites changing from HTTP to HTTPS, but many held back to assess just how important the security protocol was to the search engine and ultimately decided it wasn’t worth the risk. 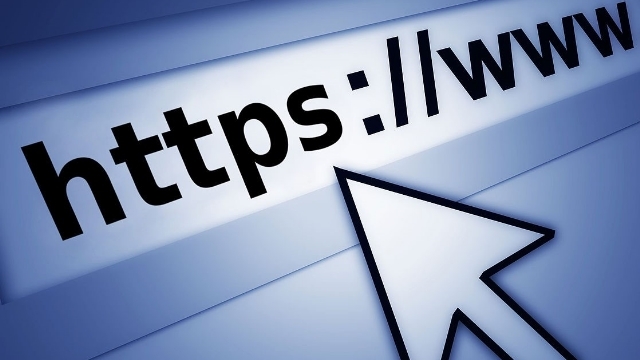 Google only considers HTTPS a minor factor in their ranking algorithm and there has been concern about potential risks when making the switch. To check up how far along the transition is, Dr. Pete Meyer from Moz compiled data to see just how close is Google is to changing the web over to HTTPS. Before Google started including HTTPS in its algorithm, Meyer says only around 7% of all pages featured on the first page of Google search results used the more secure protocol. A week after the switch that number had climbed to 8%. Since then, the number has steadily been rising, reaching over 30% this year. However, Meyer says he is not convinced everyone that has made the switch was motivated by algorithms and ranking signals. Instead, he believes it is a sign that Google’s PR campaign to make HTTPS more attractive and desirable for sites is working. Meyer also says that in another 1 to 1.5 years we are likely to see 50% of the sites shown on the first page of search results to use HTTPS, which he predicts will lead Google to strengthen the ranking signal. Ultimately, many are still hesitant about changing their entire site’s HTML structure to HTTPS and the risks that come along with site-wide changes like this. However, Dr. Meyers says it is wise to keep an eye on how many sites in your industry are using the protocol and to be watchful for any upcoming algorithm updates that may make HTTPS even more prominent in search results.